Hello! Welcome to my little world! 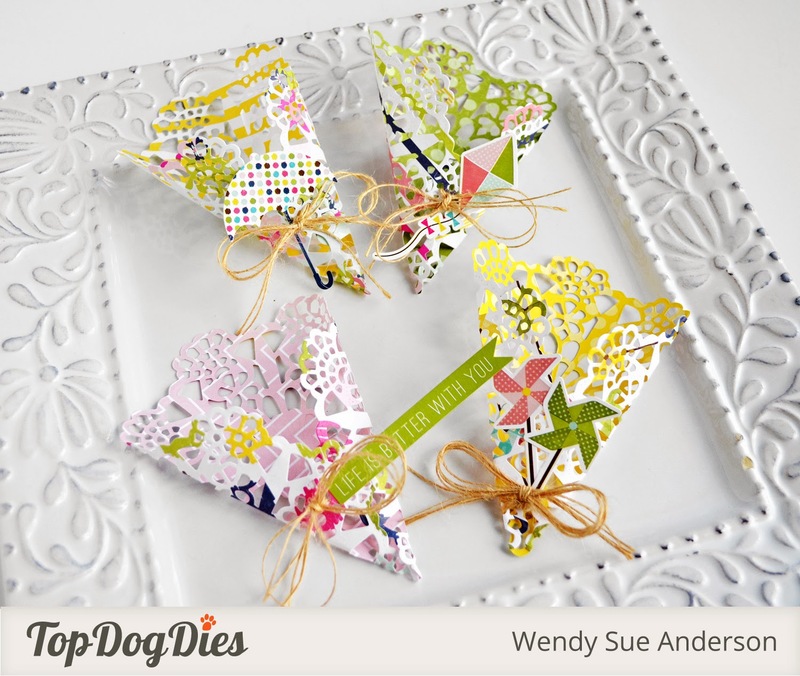 Today I am excited to share a project I created using Top Dog dies AND Echo Park Paper products! The stickers make cute little accents on the front of the rolled up doilies. And the little jute bows are the final touch. These would be cute placecard holders too - just tuck in a little flag with a name. Or maybe even "take-home" favors if the candy was wrapped in celophane before being added to the cone. We'll select one winner from each Top Dog Dies blog in the hop to receive a Top Dog Dies Bunny & Eggs Die Set. Echo Park Paper will also be offering special prizes, so be sure to visit every blog to get the details. All entries must be received by midnight MDT, Sunday, March 16th in order to win. 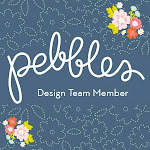 The winners will be announced on each blog Wednesday, March 19th so don't forget to check back and see ...if you won. Your treat cones are so fragile and stunning!! Great for party favors! TFS! Love the little pinwheels. What a sweet little favor. Those are very pretty treat cones -- so delicate and where's the party? There is no way I'd give these out...I wouldn't want them destroyed! LOL! Gorgeous and such a wonderful use of the products! Great job teamie! These cones are so sweet! that's very creative! thanks for the inspiration! Gorgeous treat bags! I joined your email...love your work! How beautiful! What a clever idea! 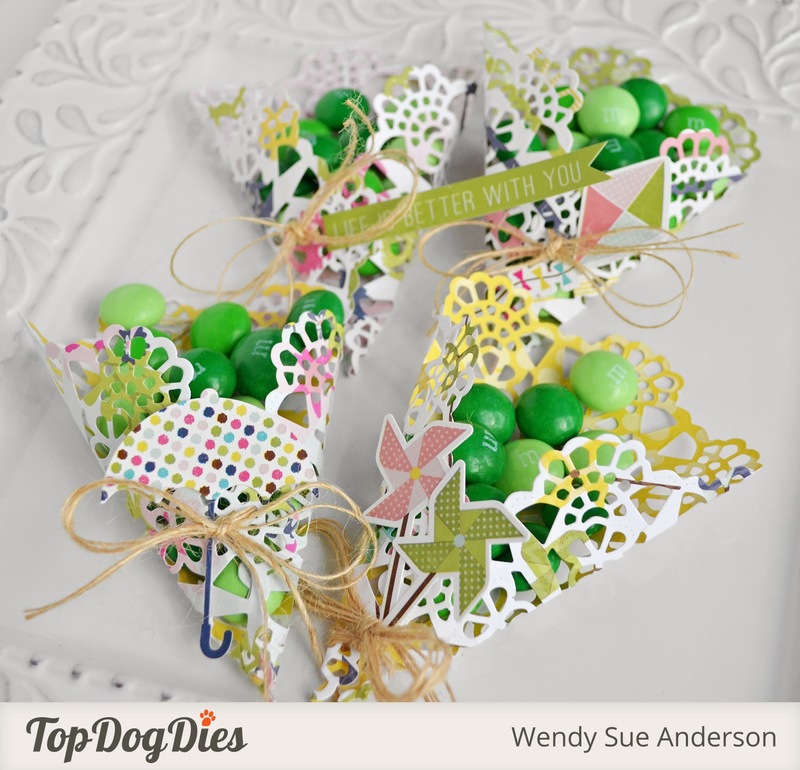 Super creative candy treats using the Top Dog doily. I would have never thought of that. Thanks for sharing, and inspiring us all. Adorable, delicate treat cones. These would be a wonderful decoration in a bathroom or a feminine bedroom. Gorgeous idea, so fresh and creative!! Wow, very cool idea! Who knew? I like your style! Thank you for sharing! So cute. need to make this for my YW. Thanks! Just cute as can be!!! Very pretty. I could see using these at a baby shower. Very cute. I love this idea, and with school coming to a close, also a great idea for teachers. thanks for the chance to win!!! I am a new follower and love your work. 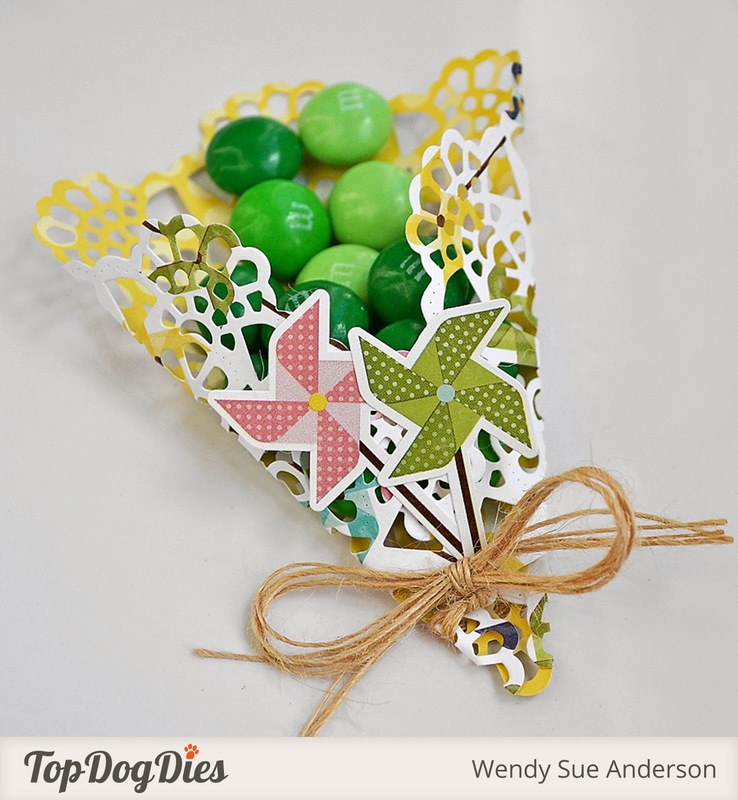 I like how the green candy pops against the green in the doilies. Precious treat holders. 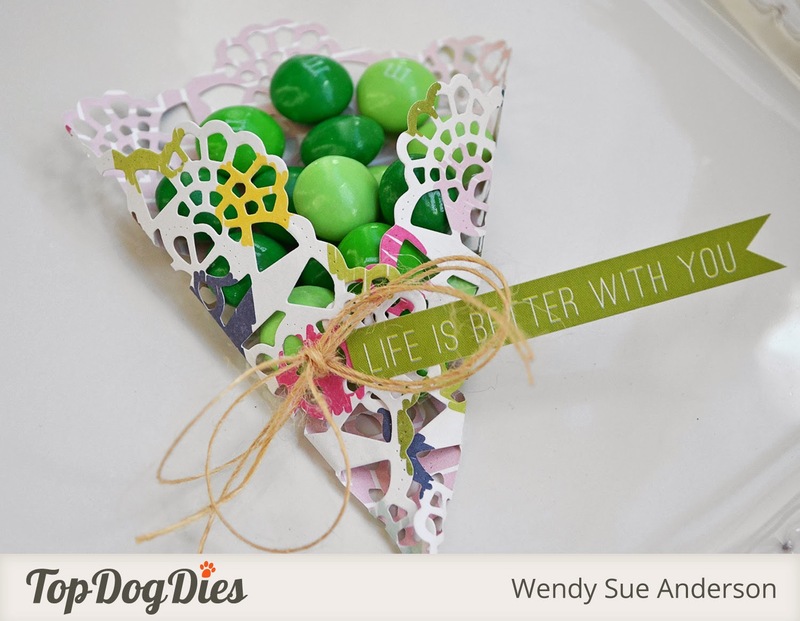 Love the creative use of the doilies and those cute little pinwheels! Those are lovely. I need to give them a shot for Easter! I love the fussy mussy's. they are so light and airy. would make great favors. thanks for the idea. very cute!!!! Love it. I also love treats, these wouldnt last long at my house. What a CUTE project!!! LOVE it. I'm in love with your entire blog, I'll be back for SURE! Thanks for sharing such cute stuff!! 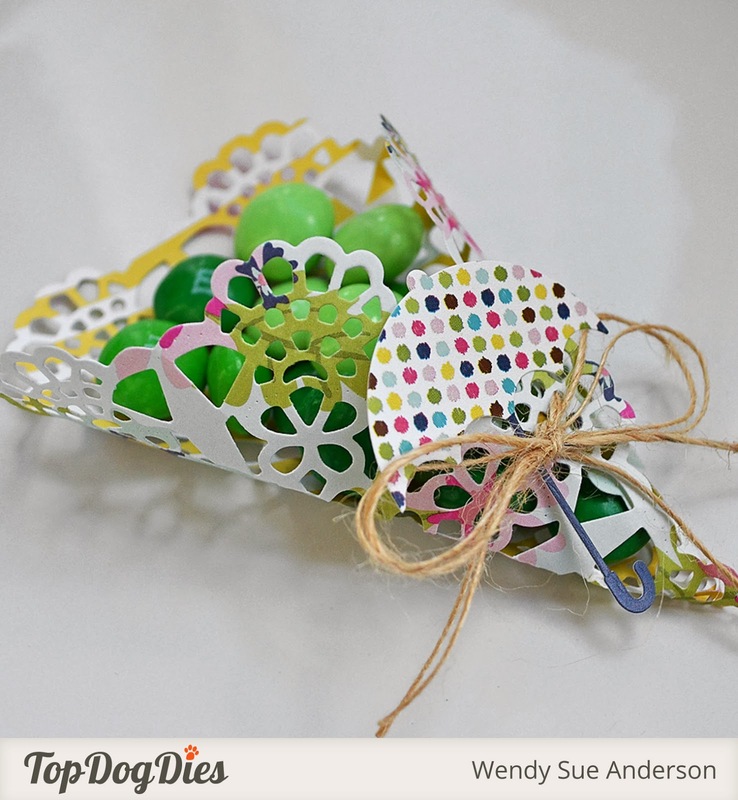 What a creative use for this doily die! So pretty and so clever! So cute and creative, thanks for sharing! I just LOVE this die set!!!! Oh my goodness these are so cute! And I really love the paper! Such cute little candy bags. Love the lace tops! Beautiful way to present a treat gift! What a clever use of these dies! Love the embellishment of the twine. Wow, that Bella doily sure looks gorgeous! Great idea! Wendy Sue - these are so super cute!! I love how talented and versatile you are!! I look up to you so much!! I love this die and what a great creative use for it! What a great idea!! They are adorable! I love those little treat bags. What a great idea. What a great way to use a doily! They remind me of delicious waffle cones. A great idea for party favors !! i love it! These party favors are the cutest and prettiest I have seen! Thanks for sharing. Cute party favors! Thanks for the inspiration. SWEET TREATS - LOVE the doily!!! Fabulous idea, these doilies are total sweetness! Lovely treat holders. 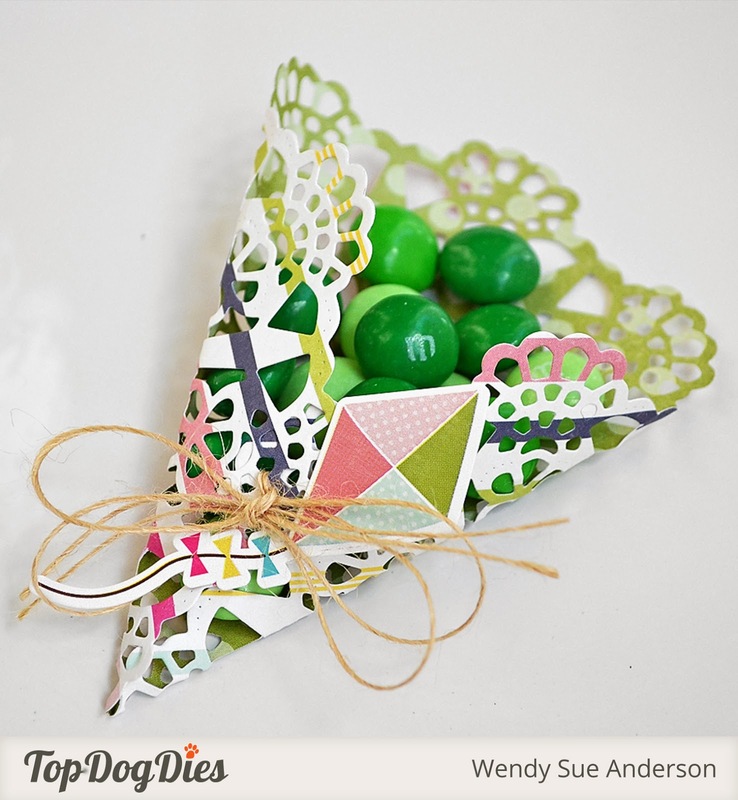 Love the creative use of the doilies and those cute little pinwheels! I would love to receive one of these little treats! So precious and so are the new papers and dies! Yayyyyy for this release and giveaway! You are an enabler. I just ordered that doily die and several others. Thanks. These are so creative and fabulous!! I love how they look!! Oh you are so creative! I love the idea! The treat cones are so beautiful! These are so lacy and pretty! Beautiful treat cones! Such thee cute treat idea! Love this! These treat holders are so lacey and cute!! what a super sweet project! Such pretty treat cones! Thanks for the chance to win!